Berry Hill Road and the area through which it wends are creepy under the best of circumstances, and it is easy to see how someone visiting them in darkness might conclude they are haunted. 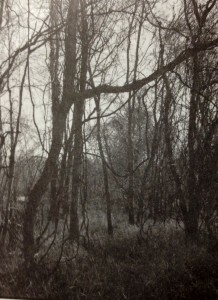 In addition, the stretch of country road and the rural thoroughfares branching off it are also home to a number of other reputed paranormal phenomena. This road does, in fact, have a widespread reputation for weirdness in the Danville area, as my wife, Diane, and I discovered while ghosthunting there the week between Christmas and New Year in 2007. We had gone in search of ghosts associated with the wreck of the Old 97, a train that had derailed in 1903, but nearly everyone we talked to dismissed it and directed us instead to Berry Hill Road. It was an unseasonably bright, sunny, and warm afternoon as my wife and I headed east on Riverside Drive out of Danville, following the directions we had been given by various people. We had, in fact, spent part of the previous evening drinking martinis with Colie Walker, night manager for the restaurant at the hotel where we had stayed the night, and he had given us an earful about the place. His stories included accounts of ghostly little girls jumping rope near the willow tree under which their bodies were buried; a span dubbed “Satan’s Bridge” where the spectral form of a young man who supposedly hanged himself there has reportedly been seen; a stretch of highway in front of a witch’s house on which cars will roll uphill rather than down; and the slaughtered carcasses of animals hung from trees. 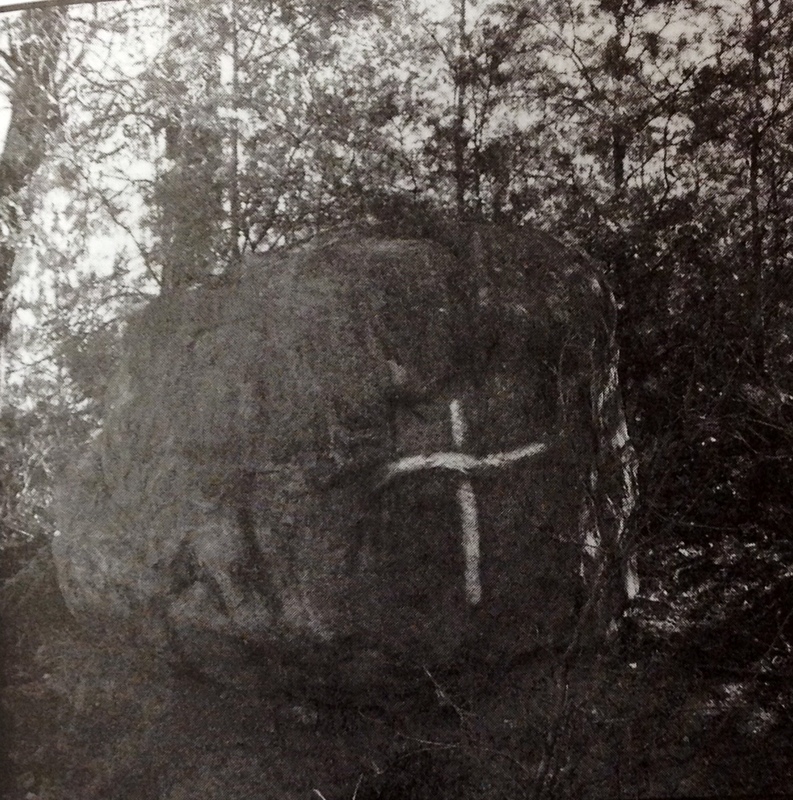 It is also reputedly an active stomping ground for the Ku Klux Klan. In short, Sleepy Hollow, Southern style. Just a few miles past the line for Pittsylvania County, we came to the intersection with Berry Hill Road and turned left. From where it begins at Riverside Drive, Berry Hill Road twists about seven-and-a-half-miles, generally heading southwest, until reaching the North Carolina state line, where its name changes to T. Clarence Stone Highway. In its relatively short stretch through Virginia, however, the road has a markedly distinct character, which became obvious to us almost immediately. Near its start, a number of other roads lead off in either direction from Berry Hill Road: those to the north generally past older, modest, relatively small houses, and those to the south past larger, more affluent homes and farms. Soon after passing these, however, the road begins to run through dense woodland punctuated by miles-long stretches of devastated-looking blight, mostly on the south side of the road. Periodically, tucked back in the wood line, we could see abandoned, vegetation-choked farmsteads and rutted dirt roads (that probably don’t appear on any maps) twist away into the forest. Many were blocked by makeshift gates emblazoned with signs warning visitors away. 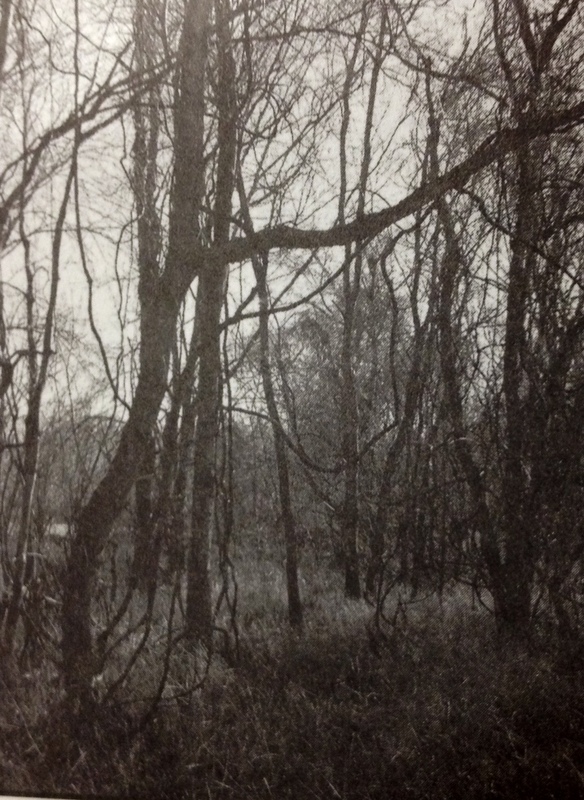 To say that the area felt ominous and unwelcoming would be an understatement. At the intersection with Oak Hill Road, we went north for awhile, and eventually came to a small country church, the first thing we had seen in several miles. We decided not to go any further at that point, and turned around. Approaching the intersection with Berry Hill Road again, we noticed at the side of the road the mangled carcass of a large animal, possibly a deer, with its exposed and bloody ribcage turned skyward. We continued on Berry Hill Road, and soon after saw, at the left side of the road, a large rock painted with a white cross. Overhead, both in the air and perched on nearby utility poles and trees, an uncannily large number of vultures watched over the place and regarded us as we passed. At the intersection with Stateline Bridge Road, just past a set of railroad tracks, we went south. We turned past a pickup truck stopped at the three-way stop that was turning onto Berry Hill Road, and I noticed the driver, a white guy with a mustache and baseball cap. As we moved down the road, I saw him make a U-turn and begin to follow us. As we sped down the road, the creep in the pickup stayed behind us, and after about a mile we broke out of the wood line onto a low concrete span over a river. As we reached the other side of it, we passed a sign welcoming us to North Carolina, and the name of the road changed to Berry Hill Bridge Road. We went about another mile, until we reached an intersection near a farm where we could turn around, and as we did the pickup truck passed us and continued on its way. Returning to the bridge from the other direction, I was stunned to see that it was completely covered with graffiti, something that while driving into the sun and keeping an eye on my rear-view mirror I had not noticed previously. Colie Walker had described “Satan’s Bridge” as being tagged (an urbanized term for “painted” that, when I explained it to my wife, both baffled and annoyed her). Its location corresponded exactly with the directions Walker had given us, and so it seemed we had found the cursed bridge. Driving back across to the Virginia side, we went a few hundred yards to a spot where the road widened adequately for me to safely turn off and start to get my equipment ready for a walk back to the bridge. “I’m just going to wait in the car,” my wife said as I started to get out of the vehicle, repeating a mantra that for her was as automatic and unanalyzed as “bless you” would have been in response to a sneeze. The creep with the pickup was on the other side of the river and I would see if he was coming back, so I didn’t argue with her. Heading toward the bridge along the left side of the road, I could see that the nearby woods were choked and tangled with heavy vine growth and had an almost quintessentially haunted look. I also had a growing sense of unease, and as I came nearer to the bridge I became increasingly aware of a sound like a howling wind, somewhere in the distance, that became more and more audible as I neared the span. Walking out onto the sunlit bridge, I could hear a low, shrieking noise somewhere in the distance, like a wind ripping through the woods around me. Glancing at the wood line on either side of the river, I could see that it was perfectly still and could not feel so much as a light breeze. It sent a chill up my spine. It would have scared the hell out of me and made me feel like I was standing on the threshold to the netherworld if I’d been there at night, possibly alone, or under the influence. I quickly walked to the far end of the bridge and, with the light at my back, got some photos. Most of the graffiti I passed seemed to be of the “X loves Y” and “Class of Z” variety, but there were a few pentagrams and devilish epithets mixed in with it. I also saw burnt-down candle stubs lying among the detritus of broken beer bottles on either side of the bridge. 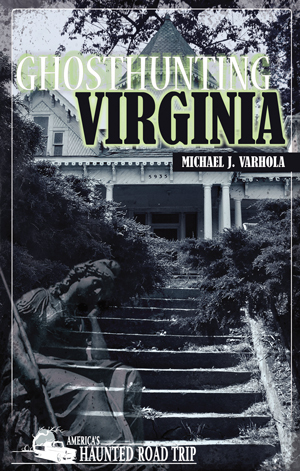 No one passed by during my time there, and I was completely alone as I looked down into the swirling ochre water of the Dan River and contemplated where the young man would have hanged himself if such an incident really had occurred here. The low, concrete bridge didn’t look like it would be very convenient for that purpose—and his dangling specter would not have been visible by anyone on or at either end of it—and I wondered if he might not have used one of the trees in the surrounding vine-choked forest. It would have been, in any event, a morose and dismal place to die. My need and desire to stay at the bridge sated, I trotted back toward the car and we resumed our exploration of the area. Turning back onto Berry Hill Road and continuing southwest on it, we soon reached the point where it crossed the North Carolina state line. Almost immediately afterward, we heard a shrieking exactly like that of a jet engine, pulled over to the side of the road, and looked up, expecting to see an aircraft passing overhead and the noise to fade. There was nothing above us, however, and the noise remained steady for awhile longer before fading away. We could see that the land across the road was fenced off and make out a small cluster of pipes and utility infrastructure. While we could not see anything that could have been making the great noise we heard, and while no signs offered an explanation for them or the fenced-off area from which they emanated, it seemed pretty obvious that we had stumbled onto some sort of industrial test facility—and that it had accounted for the distant noises I had heard at Satan’s Bridge (a later perusal of maps and satellite imagery, however, did not reveal anything of that nature in that particular area). This new mystery being far beyond our purview, and with the sinister aspect of the neighborhood starting to weigh on us, we decided to leave it unexamined. Heading back up Berry Hill Road toward where we had started, we made a few more exploratory stops before reaching the highway. We never did see the willow tree Walker had told us about, and we weren’t sure of the exact location to try putting our car in neutral to see whether it would roll uphill. We saw so many dilapidated antebellum houses that we could not be certain which one was reputed to be the lair of the witch. But a couple of hours on Berry Hill Road were enough to convince us that there is probably a good reason for its reputation in the local area – and that we did not want to be lingering on it after dark. 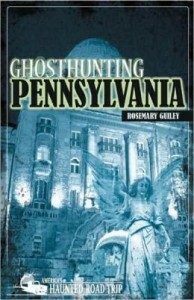 Just about every city has a homegrown ghost story that is closely linked to the town’s history. If you’re interested in exploring the unknown, here a few haunted road trips near the Ohio, Pennsylvania, and Virginia borders. Explore rich history, haunted locales, and enjoy some of the best fall foliage along the way. The Willoughby ghost walk is a guided tour through the haunted historic district of downtown Willoughby, beginning at Cathi’s store on Erie Street, The Spice Peddler. The tour covers approximately twelve blocks and takes about 90 minutes. Described as a rough town, the basements of stores along the ghost walk used to be homes of brothels, speakeasies, and number rackets back in the twenties and forties. All battlefields and forts have their resident ghosts, but Fort Mifflin ranks high on the list when it comes to the paranormal. Some visitors claim Fort Mifflin to be one of the most haunted places in the country, especially during a moonlit night. There are plenty of phantom activities, but the most renowned ghosts are the Screaming Lady and the Faceless Man. Ghosts have been reported all over the fort, in buildings and out in the open. The 14 buildings of the fort sit on 50 acres on Mud Island, a stone’s throw from Philadelphia and its International Airport. Winchester may very well be the most haunted city in the entire Commonwealth of Virginia. Located at the north end of the Shenandoah Valley, Winchester is the northernmost community of any size in the state. The Fuller House Inn and Mount Hebron Cemetery are only a couple of the haunted locations in Winchester. Several ghost tours are offered in Winchester. 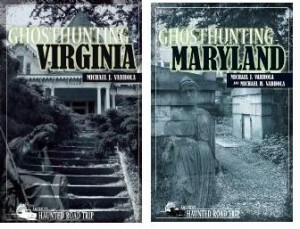 To find out more about these sites and more in their areas, or to discover other haunted locations in your area, check out the rest of the books in the America’s Haunted Road Trip series here. 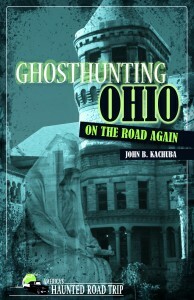 *All ghost hunts excerpted from AHRT books.